Department of Operations Research, Institute of Statistical Studies and Research, Cairo University, Giza, Egypt. In this paper, a two-person zero-sum matrix game with fuzzy numbers payoff is introduced. Using the fuzzy number comparison introduced by Rouben's method (1991), the fuzzy payoff is converted into the corresponding deterministic payoff. Then, for each player, a linear programming problem is formulated. Also, a solution procedure for solving each problem is proposed. Finally, a numerical example is given for illustration. Baldwin, J. F., & Guild, N. C. F. (1979). Comparison of fuzzy sets on the same decision space. Fuzzy sets and systems, 2(3), 213-231. Bellman, R. E., & Zadeh, L. A. (1970). Decision-making in a fuzzy environment. Management science, 17(4), B-141. Campos, L. (1989). Fuzzy linear programming models to solve fuzzy matrix games. Fuzzy sets and systems, 32(3), 275-289. Cevikel, A. C., & Ahlatcioglu, M. (2009). A linear interactive solution concept for fuzzy multiobjective games. European journal of pure and applied mathematics, 3(1), 107-117. Chen, Y. W., & Larbani, M. (2006). Two-person zero-sum game approach for fuzzy multiple attribute decision making problems. Fuzzy sets and systems, 157(1), 34-51. Dhingra, A. K., & Rao, S. S. (1995). A cooperative fuzzy game theoretic approach to multiple objective design optimization. European journal of operational research, 83(3), 547-567. Dubois, D., & Prade, H., (1980). Possibility theory: an approach to computerized processing of uncertainty. Boston, MA: Springer. Ein-Dor, L., & Kanter, I. (2001). Matrix games with nonuniform payoff distributions. Physica A: statistical mechanics and its applications, 302(1-4), 80-88. El–Shafei, K. M. M. (2007). An interactive approach for solving Nash cooperative continuous static games (NCCSG). International journal of contemporary mathematical sciences, 2, 1147-1162. Espin, R., Fernandez, E., & Mazcorro, G., (2007). A fuzzy approach to cooperative person games. European journal of operational research, 176(3), 1735- 1751. Fortemps, P., & Roubens, M. (1996). Ranking and defuzzification methods based on area compensation. Fuzzy sets and systems, 82(3), 319-330. Gogodze, J. (2018). Using a two-person zero-sum game to solve a decision-making problem. Pure and applied mathematics journal, 7(2), 11. Kaufmann, A. (1975). Introduction to the theory of fuzzy subsets (Vol. 2). Academic Pr. Kaufmann, A., & Gupta, M. M. (1988). Fuzzy mathematical models in engineering and management science. Elsevier Science Inc.
 Khalifa, H. A., & Zeineldin, R. A. (2015). An interactive approach for solving fuzzy cooperative continuous static games. International journal of computer applications, 975, 8887. Kumar, S. (2016). Max-min solution approach for multi-objective matrix game with fuzzy goals. Yugoslav journal of operations research, 26(1). Li, F. D., & Hong, X. F. (2012). Solving constrained matrix games with payoffs of triangular fuzzy numbers. Computers & mathematics with applications, 64(4), 432- 446. Nakamura, K. (1986). Preference relations on a set of fuzzy utilities as a basis for decision making. Fuzzy sets and systems, 20(2), 147-162. Nan, J. X., Li, D. F., & Zhang, M. J. (2010). A lexicographic method for matrix games with payoffs of triangular intuitionistic fuzzy numbers. International journal of computational intelligence systems, 3(3), 280-289. Navidi, H., Amiri, A. H., & Kamranrad, R. (2014). Multi responses optimization through game theory approach. 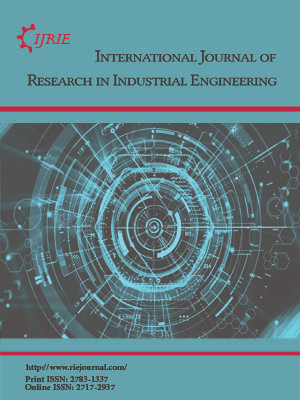 International journal of industrial engineering & production research, 25(3), 215-224. Osman, M. S., El-Kholy, N. A., & Soliman, E. I. (2015). A recent approach to continuous time open loop stackelberg dynamic game with min-max cooperative and noncooperative followers. European scientific journal, ESJ, 11(3). Parthasarathy, T., & Raghavan, T. E. S. (1971). Some topics in two-person games. New York: American Elsevier Publishing Company. Pęski, M. (2008). Comparison of information structures in zero-sum games. Games and economic behavior, 62(2), 732-735. Roubens, M. (1990). Inequality constraints between fuzzy numbers and their use in mathematical programming. In Stochastic versus fuzzy approaches to multiobjective mathematical programming under uncertainty (pp. 321-330). Springer, Dordrecht. Roy, S. K., Biswal, M. P., & Tiwari, R. N. (2000). Cooperative fuzzy game theoretic approach to some multi-objective linear programming problems. Journal of fuzzy mathematics, 8(3), 635-644. Sahoo, L. (2017). An approach for solving fuzzy matrix games using signed distance method. Journal of information and computing science, 12(1), 73-80. Seikh, M. R., Nayak, P. K., & Pal, M. (2015). An alternative approach for solving fuzzy matrix games. International journal of mathematics and soft computing, 5(1), 79-92. Selvakumari, K., & Lavanya, S. (2015). An approach for solving fuzzy game problem. Indian journal of science and technology, 8, 1-6. Takahashi, S. (2008). The number of pure Nash equilibria in a random game with nondecreasing best responses. Games and economic behavior, 63(1), 328-340. Thirucheran, M., Meena, R. E., & Lavanya, S. (2017). A new approach for solving fuzzy game problem. International journal of pure and applied mathematics, 114(6), 67- 75. Xu, J. (1998). Zero sum two-person game with grey number payoff matrix in linear programming. The journal of grey system, 10(3), 225-233. Xu, J., & Yao, L. (2010). A class of two-person zero-sum matrix games with rough payoffs. International journal of mathematics and mathematical sciences. http://dx.doi.org/10.1155/2010/404792. Zadeh, L. A. (1965). Fuzzy sets. Information and control, 8(3), 338-353. Zhao, R., Govind, R., & Fan, G. (1992). The complete decision set of the generalized symmetrical fuzzy linear programming problem. Fuzzy sets and systems, 51(1), 53-65. Shaocheng, T. (1994). Interval number and fuzzy number linear programmings. Fuzzy sets and systems, 66(3), 301-306.